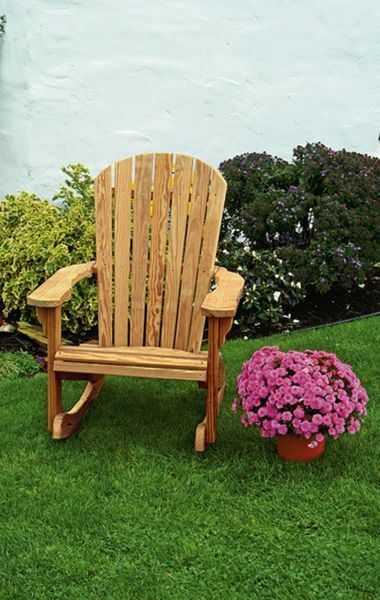 This outdoor fan-back rocking chair will make a welcome addition to your front porch, lanai or patio furniture. Handcrafted by an Old Order Amish woodworker for style and hours of comfortable seating. Order one of our pine wood end tables, coffee tables or side table for a handy spot to keep your beverages within easy reach. This Amish rocking chair comes in unfinished pine wood but you can order our optional water sealer stain if you prefer for us to finish it for you.